Unik Art can without much of a stretch refresh and upgrades your menu. You've put a ton of time and money into making your restaurant one of a kind. 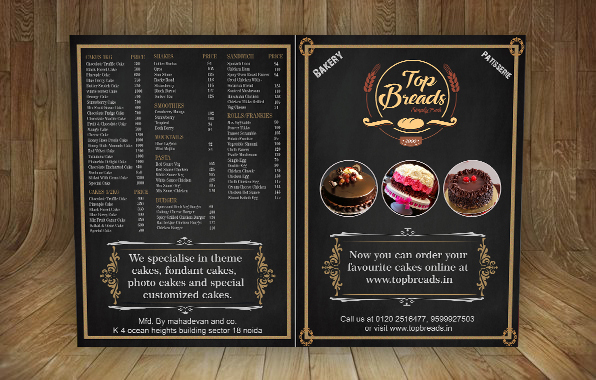 A refreshed menu is an incredible method to improve and advertise your business. In addition helping sell items, a viable menu design will upgrade the atmosphere and enhance the perceived value of your restaurant. It's one of the inexpensive and best showcasing methodologies you can actualize and our group can help. Your menu not only demonstrates the world what you serve, but also show your identity. Make sure you’re representing your restaurant right, regardless of whether it's with eye catching illustrations or elegant style. 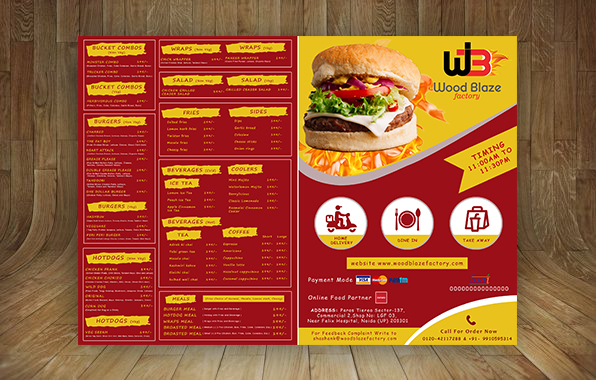 Our designers are skilled of the most trending style and designs, and they'll make an attractive menu for your restaurant that you can print or post on your site. 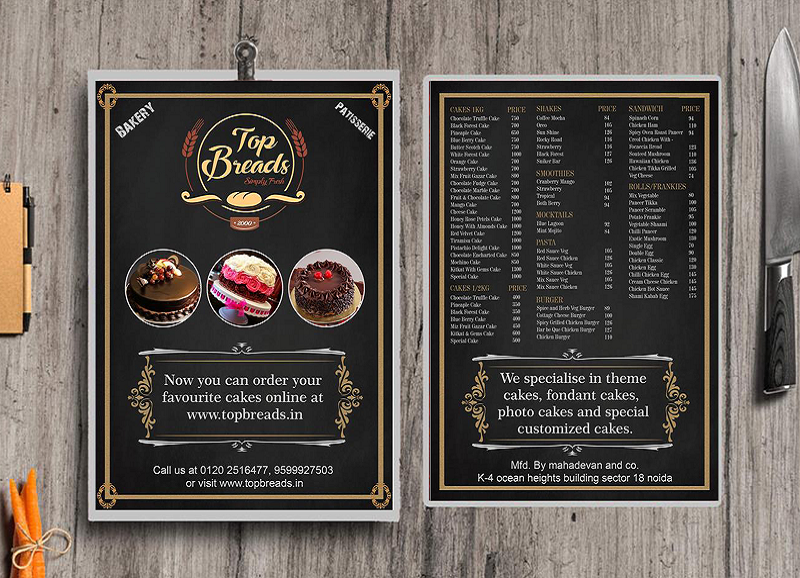 HOW ATTRACTIVE MENU CARDS ARE BENEFICIAL FOR YOU? If a potential client sees your menu on the web or in your window, what will they think? 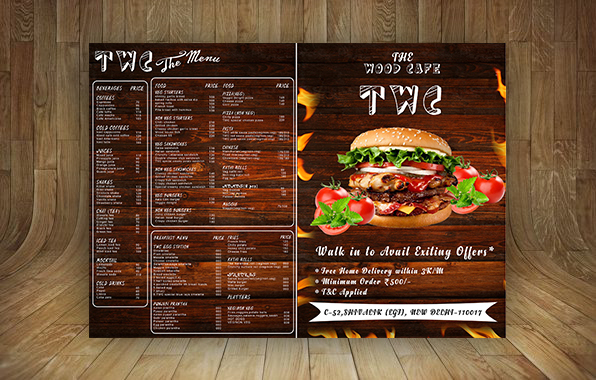 A well-designed menu should give your clients a thought of what your restaurant is like. Consider what message you're sending by using different colors and fonts. Your menu is simply one more augmentation of your brand. - Customer remembers every little detail about their eatery experience including reading an exciting menu. 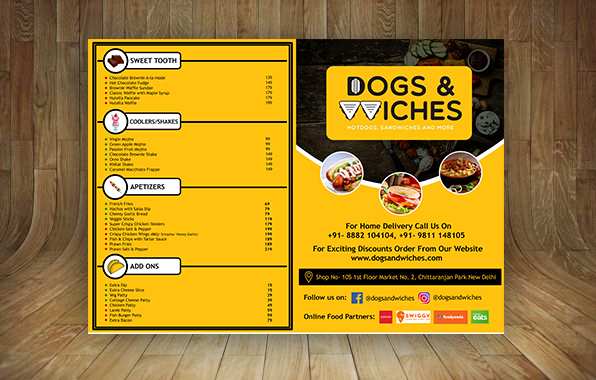 In this industry most of the restaurant goes for the free templates which are available online to design their menu cards which end up making their menu design very common in the market but a custom design will help your restaurant to give a positive impact of individualism on your customers. 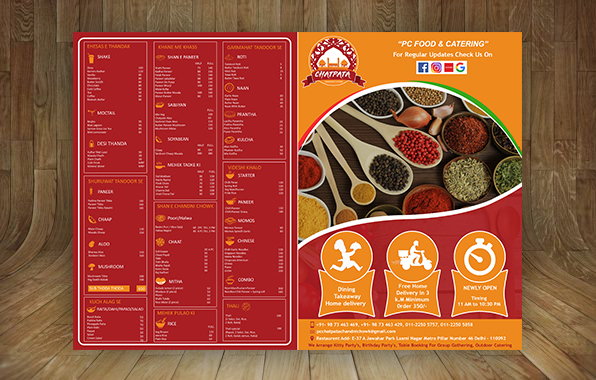 Before printing menu card design have to go through multiple proofreader which make it more accurate and professional. Custom designers spent a good amount of time in proof reading to make sure the design is free from silly grammatical and spelling errors.